Collect your exclusive Wikkeez characters. 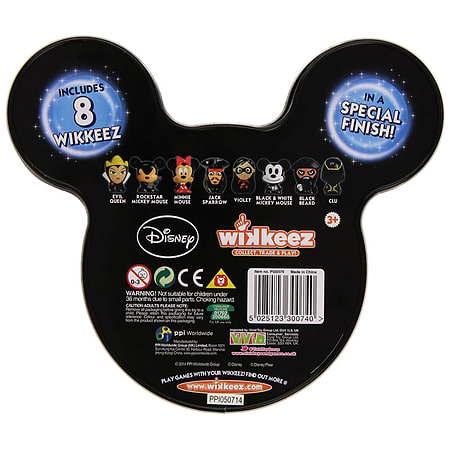 Includes 8 metallic Wikkeez and comes with an exclusive tin to store your collection in, in the shape of Mickey Mouse's head. One supplied. For Ages 3 years and over. 1 x Collector tin and 8 Wikkeez.